Few would think of Warsaw, Poland, as a hub for high-end hi-fi, but with the growth of the annual Audio Video Show (AVS) over the last 20 years, it’s become exactly that. AVS 2017 was held November 17-19, and Brent Butterworth and I were there to cover the show for SoundStage! Global -- it was my second AVS, and Brent’s first. According to the AVS organizers, AVS 2017 comprised 173 display rooms -- eight more than at AVS 2016. In those rooms were 167 exhibitors, vs. 155 last year. Furthermore, 14,116 people attended this year, a marked increase over last year’s 11,993. Both years set attendance records for the show. What wasn’t tracked by the organizers or by us was how many new products were introduced at AVS 2017. All I knew was that there were more than in 2016 -- many more. We ran out of time to cover them all, even with twice the manpower from last year. Nonetheless, we did manage to visit all three of the show’s venues -- the Radisson Blu Sobieski and Golden Tulip hotels and the Warsaw National Stadium -- and cover dozens of products of all shapes, sizes, prices, and countries of origin. From those, I’ve selected the top eight as my Best of Audio Video Show 2017. The prices are in euros (€) or Polish zlotys (zł), as quoted to us in Warsaw. Of course, prices differ throughout the world due to duties, taxes, and currency-exchange rates; the prices quoted here should be used as a basic guide to what you might pay in your part of the world. At AVS 2016, I sat through a thoroughly confusing, hour-long presentation by Jurek Pona, of Yayuma Audio, from Jaworzno, Poland, about what was then a prototype version of a sound processor to be inserted after the source component and before amplification. The processor is supposed to correct, well, something in the recording and reproduction chain that goes all the way back to the studio. This year, Yayuma presented a final version of the processor, now called the ASP Awareness Line (€25,000). The name of the technology to be used in this and future Yayuma processors is PONA, which is not only its inventor’s last name but also an acronym for Pure Original Natural Audio. Pona had gotten his presentation down to about two minutes, but after all was said and done, Brent and I still weren’t clear about what it does, or how. We decided to listen to the PONA-based system in both sighted and blind comparisons. They were playing vinyl -- the ASP was inserted after the phono stage. There might well be something in Pona’s PONA technology -- but I’d like to learn more, including how it works and what it’s supposed to correct, before I say it’s a great thing. Supposedly, the analog signal that enters the processor remains in the analog domain, despite the fact that there are 11 onboard microprocessors analyzing it and making the mysterious corrections. Still, there’s promise here. Also encouraging is Pona and his partners’ awareness that €25,000 is too rich for most people’s blood; they also showed, but didn’t demonstrate, a scaled-down version of the ASP Awareness Line small enough to hold in the hand. They hope to sell it for under €5000. Integrated amps were hot at AVS 2017, with Thrax Audio, from Sofia, Bulgaria, showing two new models that looked nothing alike: the solid-state, 120Wpc Ares and the tubed, 50Wpc Enyo. They cost €10,500 each, and both have fully balanced circuitry and the same options: a phono stage (€900), a DAC (€2000), and a streamer (€900) compatible with DLNA, MQA, Roon, and Tidal. We’ve never reviewed anything from Thrax Audio, but I’ve seen their components at many shows over the years and have been consistently impressed. Seeing the Ares, and particularly the Enyo, at AVS 2017 was the tipping point -- I talked to owner Rumen Artarski, who appeared willing to send us some review samples to audition in 2018. Unlike the Thraxes, Luxman’s new L-509X integrated amplifier doesn’t have a DAC or a streaming module, but it does have a phono stage (moving-magnet and moving-coil); bass, treble, and balance controls; front-panel left- and right-channel power-output meters; a Luxman Electric Controlled Ultimate Attenuator (LECUA) for volume control; and a drop-dead-gorgeous case that resembles their M-series pre- and power amplifiers. 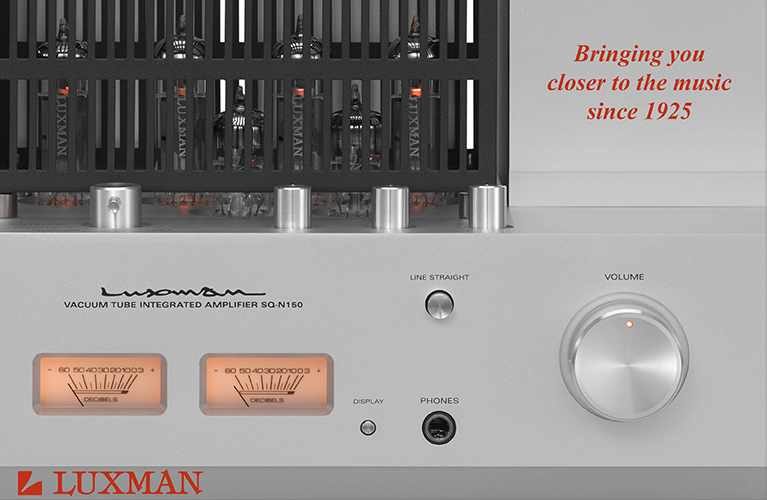 The L-509X is Luxman’s flagship integrated, and it looks and feels every bit the part. 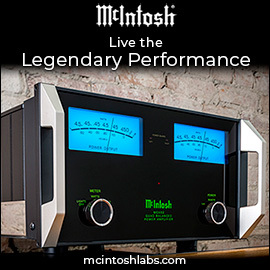 The L-509X’s power output is a claimed 120Wpc into 8 ohms, but if it’s anything like their other integrated and power amplifiers, that rating is conservative. The price they quoted was €10,000, which seems very reasonable, given the L-509X’s stellar looks and, in the brief audition I had, great sound. Implemented properly, waveguides for tweeters make a lot of sense. A waveguide can control the directivity of a tweeter’s output to better match and blend with that of the lower-frequency driver(s), and it can increase a tweeter’s acoustical output enough that it will need much less power from the amp to produce a certain sound-pressure level. Enter the S400, a two-way minimonitor (€1600/pair) from Buchardt Audio, a Danish company I’d never heard of, and whose website states that they’re a company-direct seller of speakers designed in Denmark, made in Indonesia, and shipped worldwide. There’s some good tech in the S400, including a large waveguide surrounding a 0.75” silk-dome tweeter crossed over to a 6.5” aluminum-cone midrange-woofer, this in turn supported by a 5” x 8” passive radiator on the rear. As their website makes plain, Buchardt Audio, like so many Danish companies, is big into measurements: “5402 acoustic measurement points [were] conducted with a robotic nearfield scanner. With this measurement accuracy it was possible to achieve a seamless transition from the woofer to the custom-made constant directivity tweeter/waveguide.” Their measurement protocol also indicates why they positioned the tweeter and waveguide below the midrange-woofer: “A challenge that had to be solved using such a deep waveguide was the phase-shift between the woofer and the tweeter. This was solved by placing the waveguide under the woofer as well as a very discreet tilt of the cabinet at only two degrees, this aligns the drivers in phase.” As soon as I finish writing this article, I’ll contact Buchardt to arrange for review samples of the S400 to be sent to one of our writers. No talk about waveguided tweeters in Warsaw would be complete without discussion of the new Cerica XL floorstander from Aurelia, a company based in Finland and exhibiting at AVS for the first time in 2017. The Cerica XL’s three tweeters are vertically arrayed within a uniquely shaped waveguide that surrounds, links, and separates them all, to control their outputs to make them sound as one. The idea isn’t new -- I first saw it in Aurelia’s original Cerica, a stand-mounted design I reviewed in October 2013 and loved for its neutral overall sound, great dynamic agility in the mids and highs, and unbelievably precise and holographic imaging. The tweeters and waveguide in the Cerica XL are the same as in the original Cerica, as is the 1500Hz crossover frequency to the two midrange-woofers. However, instead of a pair of 5.5” midrange-woofers in a smallish cabinet, as in the Cerica, the XL has two 6.5” drivers in a much taller, larger box, for much deeper, fuller bass. Sure enough, the sound I heard at AVS 2017 was quite a bit bassier than I remember from the original Cerica -- in fact, it overloaded Aurelia’s small display room. Still, the stellar imaging of the originals was intact, and the XL had a majesty and presence through the midrange that the original Cerica didn’t. The Cerica XLs demonstrated at AVS 2017 were prototypes -- Aurelia hopes to release the final production version in early 2018 for €9000/pair. I absolutely loved the Cerica when I reviewed it in 2013; rest assured that I will also review the Cerica XL, should Aurelia see fit to send me a pair. Shortly after I covered Symphony’s V8 two-way floorstander, I returned twice more to check on the price, in case I hadn’t heard right the first time. I’d heard right -- but the V8’s price of zł4490/pair, roughly equivalent to $1265 USD or €1070, seemed way too low for what I saw and heard. I returned yet again, this time dragging Brent along, to see if he, too, might think the V8 one of the best speaker values of AVS 2017. His impression was similar to mine: The V8’s cabinet appeared well built and nicely finished, its driver complement (a 1” SEAS tweeter and a 7.1” Dayton woofer) looked of good quality, and its sound was surprisingly clear, refined, and generous in the bass. In terms of looks, build, and sound, it seemed to both of us that this speaker should cost at least $2530/pair, not $1265/pair. Not that it was perfect -- Brent thought the top end may be a little tipped up, on the verge of bright. I wasn’t so sure -- I liked the V8’s lively sound. Even so, Brent admitted that he was nitpicking, given the price. Symphony is based in Warsaw; if they can offer the V8 at a competitive price outside Poland, I’m sure it will find a market. The big speaker launch of AVS 2017 -- in terms of construction quality and appearance, sound quality, and price -- was Sonus Faber’s newest version of the Aida, which I’ve nicknamed the Aida 2017 to differentiate it from the original, released in 2011. The launch took place in one of the largest rooms at the Warsaw National Stadium. Priced at €82,000/pair, standing 68” high, and weighing 364 pounds, the Aida 2017 looks outwardly similar to the Aida 2011, and each is as gorgeous as it is big -- I doubt there’s a better-looking speaker on the planet other than the Aida’s “little” brother, the Lilium. In terms of style, Sonus Faber hit the nail so squarely on the head with the Aida 2011 that industrial designer Livio Cucuzza felt little need to change anything for the 2017 edition other than small alterations to the front and rear panels. The most dramatic difference is the new, dark-brown Wenge finish: thin layers of wenge wood laminated like plywood and crosscut into pieces of flat veneer for a unique design. Inside, however, much has changed. All of the Aida’s eight drivers -- four in front, three in back, and one underneath -- are new, as are the crossovers, to allow all those drivers to work as one. There are also many changes in the sizes of the Aida’s internal chambers and to their bracing, and the latest SF technologies have been implemented to better control cabinet resonances. Paolo Tezzon, Sonus Faber’s acoustical designer, told me that they’ve applied to the Aida 2017 all the relevant Sonus Faber technologies developed for other Sonus Faber models over the last eight years. Whenever I enter an exhibition room at an audio show, I’m prepared to be disappointed with the sound. Show conditions are rarely ideal for listening -- usually, the room’s acoustics are mediocre, attendees walk between me and the speakers, and almost always, someone in the back of the room is talking. So when a show system sounds bad, it’s not necessarily the system’s fault, and to say that it is can misrepresent otherwise decent-sounding products. Genuin Audio, a new German company, was completely unknown to me when I entered their display room in Warsaw, and because the Genuin reps spoke mostly German, we couldn’t learn much about their company. One thing they did get across was that they have different designers working on the different types of products they offer, each a specialist in that genre. What those designers have come up with seems special and worth checking out. We saw Genuin’s Pulse speaker, Nimbus amplifier, and Tars music server, but what most caught our eyes was their Drive turntable (€7950), partially for its slick look (nice clean lines, and a quality of build you can readily see), but mostly for its features, which include a torsion-bar suspension that works in the horizontal and vertical planes, and for the options available: Genuin’s own Point tonearm (€3390), Sting cartridge (€2490), and Pearl integrated phono stage (€2750). 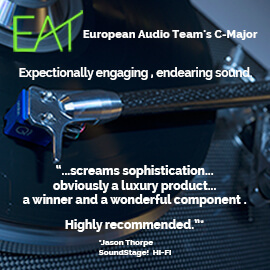 It was the phono stage that let us know that Genuin has designed the Drive to be a top-flight component. While some might shun a turntable with a built-in phono stage, assuming that it must be second-rate or with limited functionality, this one seemed different -- it supports MM and MC cartridges, and has 32 DIP switches for setting precise cartridge adjustment. I hope to learn more about Genuin -- perhaps at the High End show next May, in Munich, where we stand a better chance of finding an interpreter. Speaking of Munich, High End will be the next big audio show we’ll cover, on May 10-13, 2018. At present it’s the biggest audio show in the world, so we plan to send a team of four reporters. But between then and now are as many as four more shows we’ll be covering on SoundStage! Global. We’d originally planned to skip the 2018 Consumer Electronics Show (January 9-12 in Las Vegas, Nevada), based on how dismal CES 2017 and CES 2016 were, but decided it would be best for our readers if we sent a team after all: Roger Kanno and Brent Butterworth. Jason Thorpe and I usually cover the Montréal Audio Fest each March, and are likely to do so again in 2018 (March 23-25). Brent plans to report from the 2018 CanJam SoCal headphone show (April 7-8). Then there’s Chicago’s AXPONA (April 13-15). This will be our first time at AXPONA -- the show has been growing. Where else will we be in 2018? It’s too early to tell -- but besides the shows mentioned, you can be sure we’ll be in Warsaw for the next Audio Video Show (November 16-18, 2018). AVS is now one of my favorite audio shows in the world, and I’m hoping to send an even bigger team of reporters to the 2018 edition, so that we can tell you about all the new products launched.